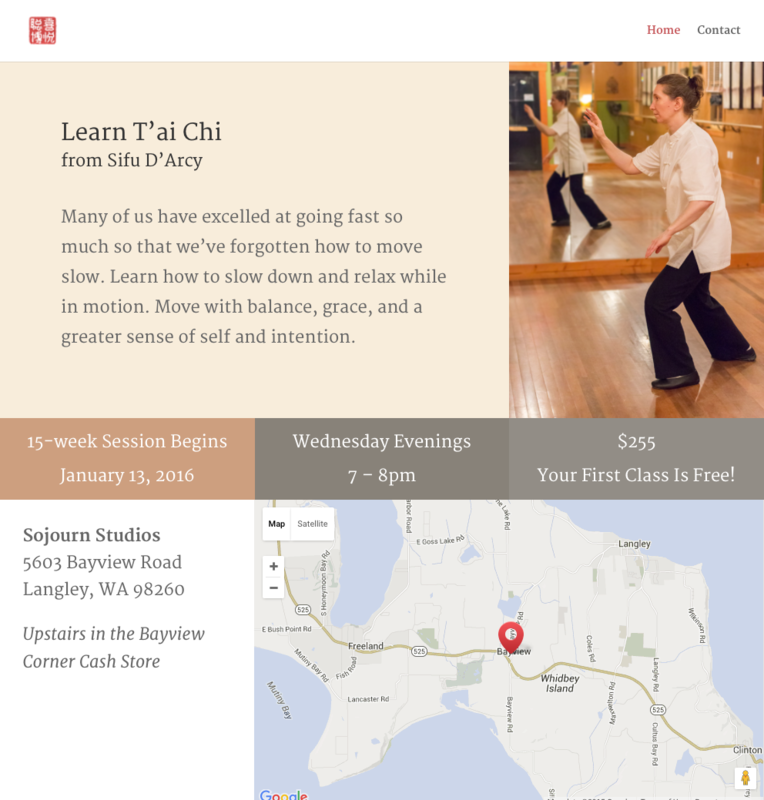 We quickly created this website to provide information in advance of a 15-week T’ai Chi class. The class is taught by Sifu D’Arcy Grenz, who is also a designer at MonSalon.org. D’Arcy quickly designed and had printed a rack card to advertise an upcoming T’ai chi class. Rack cards are displayed in high traffic areas, often in lobbies or on community bulletin boards.